Suggested Filmography: Shivers/They Came From Within (1975), Rabid (1977), The Brood (1979), Scanners (1981), Videodrome (1983), The Dead Zone (1983), Videodrome (1983), The Fly (1986), Dead Ringers (1988), Naked Lunch (1991), M. Butterfly (1993), Crash (1996), eXistenZ (1999), Spider (2002), A History of Violence (2005), Eastern Promises (2007), A Dangerous Method (2011), Cosmopolis (2012), Maps to the Stars (2014). Wit and class distinguish his sophisticated pictures, which star Katharine and Audrey Hepburn and Greta Garbo. Suggested Filmography: A Bill of Divorcement (1932), One Hour With You (1932), What Price Hollywood? (1932), Little Women (1933), Dinner at Eight (1933), David Copperfield (1935), Camille (1936), Romeo and Juliet (1936), Sylvia Scarlett (1936), Holiday (1938), The Adventures of Tom Sawyer (1938), Gone With The Wind (1939) (partial), The Women (1939), The Philadelphia Story (1940), Keeper of the Flame (1942), Gaslight (1944), A Double Life (1947), Adam's Rib (1949), Born Yesterday (1950), The Marrying Kind (1952), Pat and Mike (1952), A Star is Born (1954), It Should Happen to You (1954), Lust for Life (1956) (co-director, uncredited), Bhowani Junction (1956), Les Girls (1957), Let's Make Love (1960), My Fair Lady (1964), Travels With My Aunt (1972), Rich and Famous (1981). He made Casablanca and Elvis Presley's King Creole, along with dozens of movies in every genre, from action to horror to melodrama. Suggested Filmography: Cabin in the Cotton (1932), Doctor X (1932), The Kennel Murder Case (1933), The Mystery of the Wax Museum (1933), Captain Blood (1935), The Charge of the Light Brigade (1936), The Walking Dead (1936), Anthony Adverse (1936), Kid Galahad (1937), Marked Woman (1937), The Adventures of Robin Hood (1938), Angels With Dirty Faces (1938), Four Daughters (1938), Dodge City (1939), The Private Lives of Elizabeth and Essex (1939), Santa Fe Trail (1940), The Sea Hawk (1940), Virginia City (1940), The Sea Wolf (1941), Yankee Doodle Dandy (1942), Casablanca (1942), This is the Army (1943), Passage to Marseille (1944), Mildred Pierce (1945), Night and Day (1946), Life With Father (1947), The Unsuspected (1947), My Dream Is Yours (1949), Flamingo Road (1949), Young Man With a Horn (1950), Jim Thorpe - All American (1951), The Egyptian (1954), White Christmas (1954), We're No Angels (1955), The Proud Rebel (1958), King Creole (1958), The Adventures of Huckleberry Finn (1960), The Comancheros (1961). 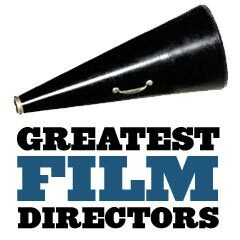 He was the first master of big-budget event movies, with two The Ten Commandments films and The Greatest Show on Earth. Suggested Filmography: The Squaw Man (in three versions 1914, 1918, 1931), The Cheat (1915), Joan the Woman (1916), Male and Female (1919), Forbidden Fruit (1921), The Ten Commandments (1923), The King of Kings (1927), Madam Satan (1930), The Sign of the Cross (1932), Cleopatra (1934), The Crusades (1935), The Plainsman (1936), The Buccaneer (1938), Union Pacific (1939), North West Mounted Police (1940), Reap the Wild Wind (1942), The Story of Dr. Wassell (1944), Unconquered (1947), Samson and Delilah (1949), The Greatest Show on Earth (1952), The Ten Commandments (1956). Suggested Filmography: Caged Heat (1974), Crazy Mama (1975), Last Embrace (1979), Melvin and Howard (1980), Stop Making Sense (1984), Swing Shift (1984), Something Wild (1986), Swimming to Cambodia (1987), Married to the Mob (1988), The Silence of the Lambs (1991), Philadelphia (1993), Beloved (1998), The Truth About Charlie (2002), The Manchurian Candidate (2004), Neil Young: Heart of Gold (2006), Jimmy Carter: Man From Plains (2007), Rachel Getting Married (2008), Ricki and the Flash (2015). Suggested Filmography: Greetings (1968), Hi, Mom! (1970), Sisters (1973), Phantom of the Paradise (1974), Carrie (1976), Obsession (1976), The Fury (1978), Dressed To Kill (1980), Blow Out (1981), Scarface (1983), Body Double (1984), Wise Guys (1986), The Untouchables (1987), Casualties of War (1989), The Bonfire of the Vanities (1990), Raising Cain (1992), Carlito's Way (1993), Mission: Impossible (1996), Snake Eyes (1998), Mission to Mars (2000), Femme Fatale (2002), The Black Dahlia (2006), Redacted (2007), Passion (2012). Suggested Filmography: Steamboat Willie (1928) (director), Flowers and Trees (1932), The Three Little Pigs (1933), Snow White and the Seven Dwarfs (1937), Ferdinand the Bull (1938), Fantasia (1940), Pinocchio (1940), Dumbo (1941), Bambi (1942), Peter and the Wolf (1946), Casey at the Bat (1946), Song of the South (1946), Mickey and the Beanstalk (1947), Johnny Appleseed (1948), Wind in the Willows (1949), The Adventures of Ichabod and Mr. Toad (1949), Cinderella (1950), Alice in Wonderland (1951), Peter Pan (1953), 20,000 Leagues Under the Sea (1954), Lady and the Tramp (1955), The Legend of Sleepy Hollow (1958), Sleeping Beauty (1959), One Hundred and One Dalmatians (1961), Mary Poppins (1965), The Jungle Book (1967). The TV actor turned spaghetti-Western star became an A-list director with Unforgiven, Mystic River, and Million Dollar Baby. Suggested Filmography: Play Misty for Me (1971), High Plains Drifter (1972), Breezy (1973), The Eiger Sanction (1975), The Outlaw-Josey Wales (1976), The Gauntlet (1977), Bronco Billy (1980), Firefox (1982), Honkytonk Man (1982), Sudden Impact (1983), Pale Rider (1985), Heartbreak Ridge (1986), Bird (1988), The Rookie (1990), White Hunter, Black Heart (1990), Unforgiven (1992), A Perfect World (1993), The Bridges of Madison County (1995), Absolute Power (1997), Midnight in the Garden of Good and Evil (1997), True Crime (1999), Space Cowboys (2000), Mystic River (2003), Million Dollar Baby (2004), Flags of Our Fathers (2006), Letters from Iwo Jima (2006), Changeling (2008), Gran Torino (2008), Invictus (2009), Hereafter (2010), J. Edgar (2011), Jersey Boys (2014), American Sniper (2014), Sully (2016), The 15:17 to Paris (2018), The Mule (2018). Suggested Filmography: Strike (1924), Battleship Potemkin (1925), October/10 Days That Shook the World (1927), The General Line (1929), Que Viva Mexico! (1932), Alexander Nevsky (1938), Ivan the Terrible, Part One (1945), Ivan the Terrible, Part Two (1946). Suggested Filmography: Open City (1945), Paisan (1946), The White Sheik (1952), I Vitelloni (1953), La Strada (1954), Il Bidone (1955), Nights of Cabiria (1957), La Dolce Vita (1960), 8 1/2 (1963), Juliet of the Spirits (1965), Fellini Satyricon (1969), Fellini's Roma (1972), Amarcord (1973). Suggested Filmography: Alien3 (1992), Se7en (1995), The Game (1997), Fight Club (1999), Panic Room (2002), Zodiac (2007), The Curious Case of Benjamin Button (2008), The Social Network (2010), The Girl with the Dragon Tattoo (2011), Gone Girl (2014). Suggested Filmography: The Virginian (1929), Red Dust (1932), Bombshell (1933), Treasure Island (1934), Reckless (1935), Captains Courageous (1937), The Good Earth (1937) (uncredited), Test Pilot (1938), Gone With The Wind (1939), The Wizard of Oz (1939), Dr. Jekyll and Mr. Hyde (1941), Tortilla Flat (1942), A Guy Named Joe (1943), Joan of Arc (1948). The quintessential Westerner, he made icons of Monument Valley and John Wayne in the classics Stagecoach and The Searchers. Suggested Filmography: The Secret Man (1917), The Iron Horse (1924), The Lost Patrol (1934), The Informer (1935), The Whole Town's Talking (1935), The Prisoner of Shark Island (1936), Mary of Scotland (1936), The Hurricane (1937), Drums Along the Mohawk (1939), Stagecoach (1939), Young Mr. Lincoln (1939), The Grapes of Wrath (1940), The Long Voyage Home (1940), How Green Was My Valley (1941), Tobacco Road (1941), The Battle of Midway (1942) (doc. ), December 7th (1943) (doc. ), They Were Expendable (1945), My Darling Clementine (1946), The Fugitive (1947), 3 Godfathers (1948), "Cavalry Trilogy": Fort Apache (1948), Pinky (1949) (uncredited), She Wore a Yellow Ribbon (1949), Rio Grande (1950); Wagonmaster (1950), The Quiet Man (1952), Mogambo (1953), The Long Gray Line (1955), Mister Roberts (1955), The Searchers (1956), The Wings of Eagles (1957), The Last Hurrah (1958), The Horse Soldiers (1959), Sergeant Rutledge (1960), Two Rode Together (1961), The Man Who Shot Liberty Valance (1962), Donovan's Reef (1963), Cheyenne Autumn (1964), 7 Women (1966). Suggested Filmography: Loves of a Blonde (1966), The Firemen's Ball (1968), Taking Off (1971), One Flew Over the Cuckoo's Nest (1975), Hair (1979), Ragtime (1981), Amadeus (1984), Heartburn (1986), Valmont (1989), The People vs. Larry Flynt (1996), Man on the Moon (1999), Goya's Ghosts (2006). Suggested Filmography: And Now For Something Completely Different (1971), Monty Python and the Holy Grail (1975), Jabberwocky (1977), Time Bandits (1981), Monty Python's The Meaning of Life (1983), Brazil (1985), The Adventures of Baron Munchausen (1988), The Fisher King (1991), 12 Monkeys (1995), Fear and Loathing in Las Vegas (1998), The Brothers Grimm (2005), Tideland (2005), The Imaginarium of Doctor Parnassus (2009), The Zero Theorem (2013), The Man Who Killed Don Quixote (2018). Suggested Filmography: Breathless (1959), Une Femme est une Femme (1960), Contempt (1963), Vivre sa Vie (1963), Band of Outsiders (1964), Alphaville (1965), Pierrot le fou (1965), Masculin Feminin (1966), Two or Three Things I Know About Her (1966), Weekend (1967), La Chinoise (1967), Numero Deux (1975), Every Man for Himself (1980), Passion (1982), Hail Mary (1985), Nouvelle Vague (1990), In Praise of Love (2001), Notre Musique (2004). The father of modern moviemaking, he pioneered film language in such milestones as The Birth of a Nation and Intolerance. Suggested Filmography: The Musketeers of Pig Alley (1912), The Girl and Her Trust (1912), Judith of Bethulia (1914), The Birth of a Nation (1915), Intolerance (1916), Hearts of the World (1918), Broken Blossoms (1919), True Heart Susie (1919), Way Down East (1920), Orphans of the Storm (1922), America (1924), Isn't Life Wonderful (1924), Sally of the Sawdust (1925), The Sorrows of Satan (1926), Abraham Lincoln (1930), One Million B.C. (1940). Funny, tough, and funny-tough, he went from Scarface to His Girl Friday and from To Have and Have Not to Gentlemen Prefer Blondes. Suggested Filmography: A Girl in Every Port (1928), Hell's Angels (1930), The Dawn Patrol (1930), The Crowd Roars (1932), Scarface: The Shame of the Nation (1932), Twentieth Century (1934), Viva Villa! (1934), Barbary Coast (1935), Come and Get It (1936), Bringing Up Baby (1938), Only Angels Have Wings (1939), His Girl Friday (1940), Ball of Fire (1941), Sergeant York (1941), The Outlaw (1943) (uncredited), Air Force (1943), To Have and Have Not (1944), The Big Sleep (1946), Red River (1948), A Song is Born (1948), I Was a Male War Bride (1949), The Thing (From Another World) (1951) - uncredited, Monkey Business (1952), The Big Sky (1952), Gentlemen Prefer Blondes (1953), Land of the Pharaohs (1955), Rio Bravo (1959), Hatari! (1962), Man's Favorite Sport (1964), El Dorado (1967), Rio Lobo (1970). Suggested Filmography: Signs of Life (1968), Land of Silence and Darkness (1971), Aguirre: The Wrath of God (1972), The Great Ecstasy of Woodcarver Steiner (1974), The Enigma of Kaspar Hauser (1974) (aka Every Man for Himself and God Against All), Stroszek (1977), Woyzeck (1978), Nosferatu the Vampyre (1979), Fitzcarraldo (1982), Cobra Verde (1988), Lessons in Darkness (1992), The White Diamond (2004), Grizzly Man (2005), The Wild Blue Yonder (2005), Rescue Dawn (2006), Encounters at the End of the World (2007), The Bad Lieutenant: Port of Call - New Orleans (2009), Queen of the Desert (2015), Salt and Fire (2016).